Want a dorm accessory no one else will have? Check out our Fresh Scent College Curtains in Ivory! 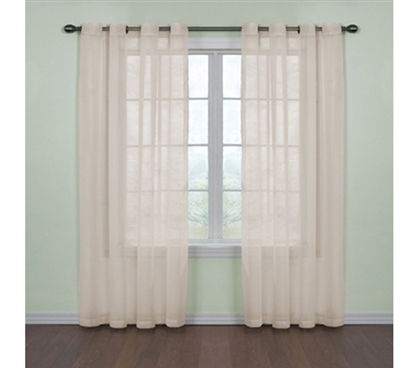 These dorm curtains are so unique because within the panels of these curtains they utilize odor neutralizing technology. Yes, you read that right. Odor neutralizing technology! 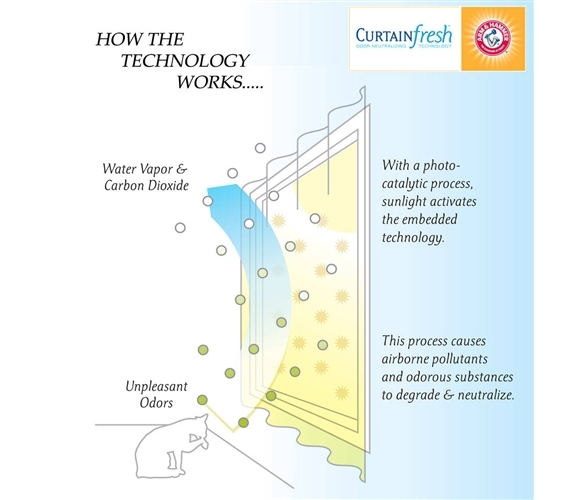 These curtains can eliminate odors in a way that no ordinary curtains can. And we mean that. If you already have dorm curtains picked out, or you don't think you'll need some, you should check and see what your dorm closets will be like. Many residence halls have dorms without closet dorms, and some students think the perfect solution to that is hanging a tension rod and using curtains as a way to cover up your closet. If you use our Fresh Scent College Curtains - Ivory as a makeshift dorm closet door, not only will your closet look great, but it will smell fantastic too! It will be double the awesomeness of the fresh laundry smell your closet already has.